Help Kids Read & Spell With Confidence! Memorize them. As a teacher, you'll be so glad you did! "The leter c before e, i, or y says /s/ (cent, city, cycle), but followed by any other letter says /k/ (cat, cot, cut). "The letter g before e, i, or y may say /j/ (page, giant, gym), but followed by any other letter says g (gate, go, gust). The letters e and i following g do not always make the g say /j/ (get, girl, give). "Vowels a, e, o, and u usually say /A/, /E/, /O/, and /U/ (long vowel sounds) at the end of a syllable (navy, me, o pen, mu sic). "The letters i and y usually say /i/ (short vowel sound) (big, gym), but may say /I/ (long vowel sound) (si lent, my, type). "The letter y, not i, is used at the end of an English word (my). "There are five kinds of silent final e". (In short words such as me, she, and he the e says the long vowel sound, but in longer words where a single e appears at the end, the e is usually silent). These easy phonics rules help the whole study of phonics and spelling come together. The very same rules are often called Spelling Rules. They teach how words are built and the correct phonograms to write the right word. Learning the basic sounds is so important. The rules are next. Combine the two for easier reading comprehension. Practice the easy Phonics rules so that it is easier for you to help your students practice reading, writing, and spelling. You'll have the rules handy to give clues when necessary. You'll love the results in just a few months' work. 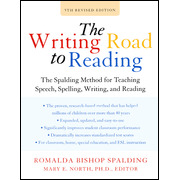 The most concise source of information for this that I have found is Romalda Spalding's way of teaching reading skills in The Writing Road To Reading. 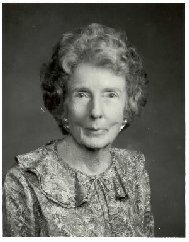 Her book shows 29 simple rules for phonics including the "i before e except after c" rule, because the rules are what's next after learning the sounds of the phonograms in making reading and writing easier. If you're unfamiliar with the sounds that the phonograms make, review our Phonics video below to become familiar with the 72 phonogram sounds and to hear the individual sounds of the letters. Your students can use the videos for independent student review, too, although I'd be sure to help them in person first. After your students know the sounds, they can begin to apply the rules of phonics for the correct spelling of words. It is said that if you know the first notebook page of the Spalding phonics notebook you can get an 85% average in spelling. Most of the Orton programs use this very same notebook page. I have seen even seventh grade children get to this average of 85% within two months after years of "wham-wham-hope-you-know-it" memorization of spelling words. Start with the basic alphabetical letters and note some of the spelling rules from page 223 of Romalda Spalding's The Writing Road To Reading and see our printable phonics worksheets here. If you're familiar with the sometimes giant effort necessary to help children learn sight words, you'll love what that same effort can do by teaching the phonics sounds and rules. At the beginning, the more often you review the sounds in words, the easier the children will learn them over time. See the basic phonics lessons for easy review here.